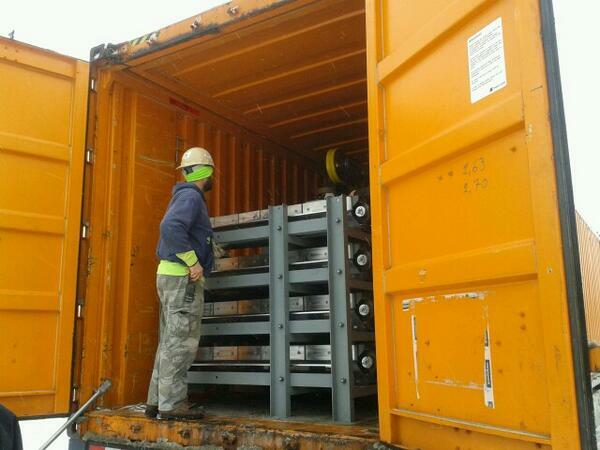 The Banshee Ride Cars Have Arrived!!!!!! The first car for King's Island Banshee coaster arrived yesterday afternoon. 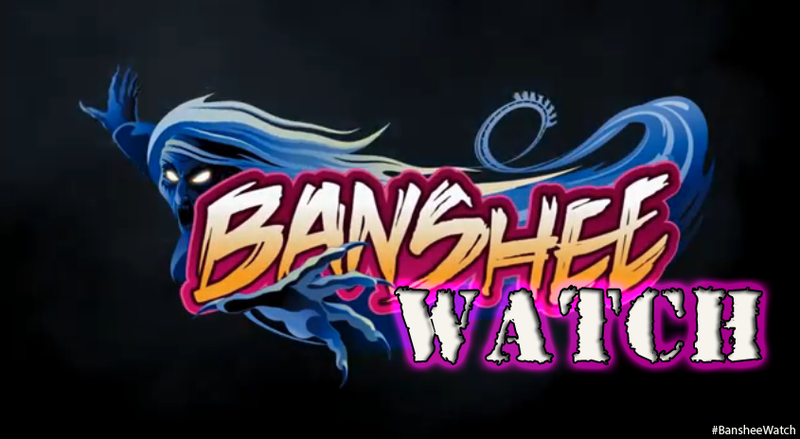 Banshee will operate with three steel and fiberglass trains, each one containing eight cars. Each car seats four riders in a single row for a total of 32 riders per train. 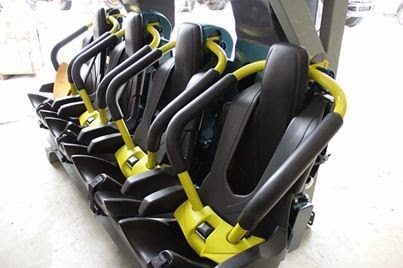 Riders will be held in by flexible over-the-shoulder restraints and interlocking lap belts, these are very similar to those used on other B&M wing coasters; but the neat part is that this is a first for an inverted roller coaster. Each train will be painted a different color; blue, green and purple, and this looks to be the blue train. This had to be amazing to take that first car off the truck and bring it into the public. I'm super jealous of those lucky men. So the configuration of trains will move 1,650 riders per hour during peak times in the summer. 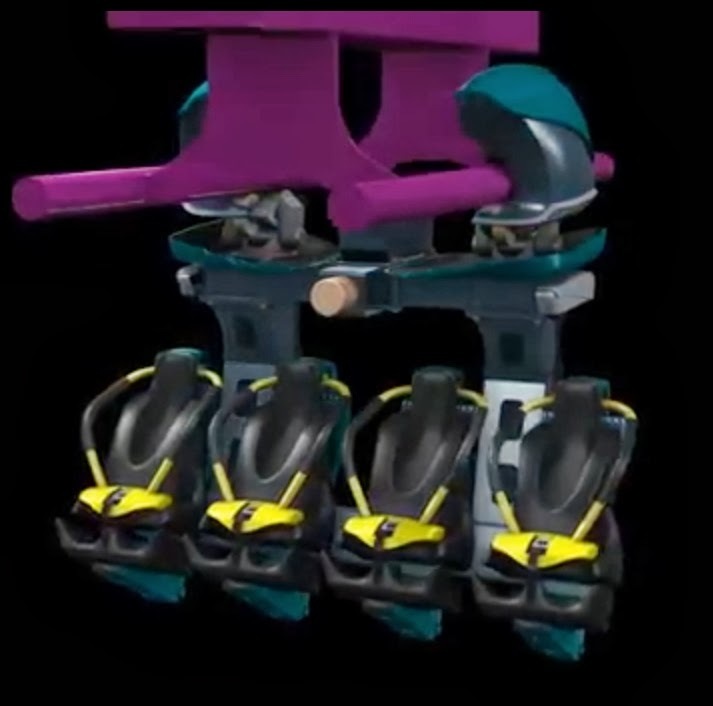 Now another neat fact is that unlike other inverted roller coasters (CP's Raptor for example) where riders are used to the floor dropping so the train can leave the station here the floor under Banshee's train will not drop while in the station. Isn't she lovely??!! We at ISI are so excited to see that KI is ahead of schedule with the construction of Banshee and we are super super super excited to see the blue train arrive safely. As always: any comments made are to be polite and without malice. If you're nice to us then we'll be nice to you. Keep an eye for the next update!! !